A firm that produces precision components for the aerospace sector is going from strength to strength – with a helping hand from experts in South Derbyshire. Trust Precision Engineering has invested heavily in its operations over the past few years, meaning it is now turning out vastly increased volumes for a growing portfolio of customers. However, the Nottingham-based company works to such tight tolerances that it was faced with the challenge of finding a way to accurately measure its parts and ensure that they continued to meet the high expectations of clients. To address the challenge Trust turned to VICIVISION UK, part of the Foston-based Carfulan Group and a leading supplier of optical, non-contact turned-part measurement machines and quality control systems. 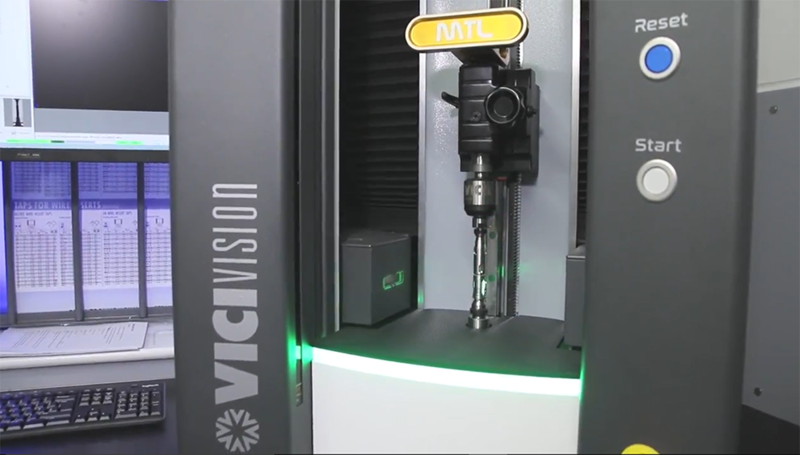 Dedicated to improving efficiency in production, reducing down time and increasing productivity, VICIVISION UK machines use a combination of video and light projection, providing top-of-the-range measuring performance in a practical, robust and compact design compatible with shop-floor environments. Trust Precision Engineering purchased two M304 Techno machines, which provide benchmark reliability in measuring cylindrical parts and enable fast and efficient batch changing. Mr Street added: “The VICIVISION machines really are fantastic pieces of equipment and mean every dimension of a part is checked – there’s nothing left to chance. VICIVISION UK Sales Manager Graham Shaw said said: “We specialise in providing fast and accurate turned-part measurement solutions for businesses of all types and sizes, speeding up throughput and helping products to be brought to the marketplace faster.